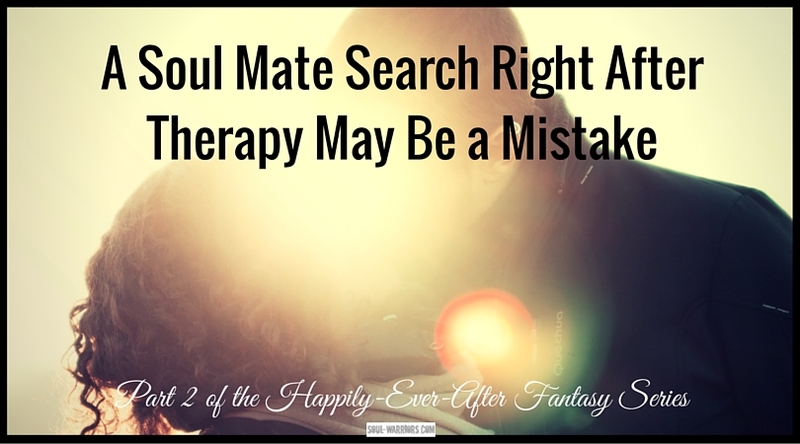 When my former client Ginny contacted me and asked to do a short course of coaching in support of her soul mate search, I knew I was in for a treat. Ginny is another favorite client (I realize I only have favorite clients, so I should probably not bother to write that any longer!) We had done quite a bit of work together previously right as she was at the end of her main course of therapy. She’s fun, insightful, and is never afraid to dive in and take the work as deep as she needs it to be. I had a hunch about her soul mate search, so I laid out my position. Often upon leaving therapy, we’re left in a place that doesn’t feel exactly how we expected it to. We think we should maybe be happier than we are – we expected that life as a whole would be a little bit more satisfying after working through our issues. When it isn’t (and it’s normal that it isn’t – that’s why I have a job! ), we can latch on to “Happily-Ever-After” dreams, believing that’s what we need to feel fulfilled. 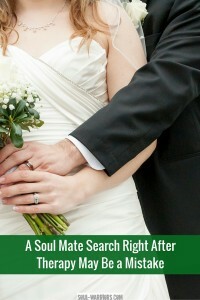 Ginny deciding she needed to find her soul mate almost immediately after leaving therapy sounded very much like a “Happily-Ever-After” quest to me, so I agreed to give soul mate coaching a shot, with the understanding that if her truest, deepest desire was finding a soul mate and she only needed practical tips on how to do that, I was refunding her money. She trailed off at this point, saying that sounded like it was about right. “What do you mean?” Ginny replied. Ginny was making one of the most common mistakes we all make after transitioning out of therapy – taking her Happily-Ever-After quest and trying to use her old emotional material to make it happen. In some cases, it can be such a bad idea that we end up needing more therapy after it. Ginny kept the rest of her sessions, and we worked through what she really needed to address before contemplating finding her soul mate. Since this is something I often see clients doing (and I did it myself! ), I have decided to host my very first webinar to explain the whole context around this, and show you examples – like Ginny’s – of what is really going on and how to move forward. 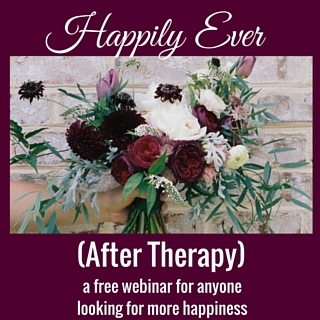 The webinar (Happily-Ever-After-Therapy) is about an hour of pure content. This is one of those times where there is simply so much to say about it that I can’t write it all out on the blog. If you are transitioning out of therapy – or just contemplating a Happily-Ever-After quest – come check it out. I’d love to see you there!